Kids are gossiping about it like crazy. It’s all everyone has been talking about since last weekend! Her night started off totally fine when she admired her expensive, designer Pirate girl costume in the mirror. …she finally pulled away from the mirror to get into her mom’s car to go to Jessica’s Halloween party. When she got there she was searching for her BFF’s, then when she wasn’t watching where she was going, BAM! She tripped and fell onto the food table, which had a super big chocolate fountain, white chocolate fountain, and hot fudge fountain. It was a huge sticky mess! Food all over the floor, Makenzie’s hair, and her super expensive designer pirate costume. People were laughing and taking pictures, then Makenzie yelled “STOP!” Everyone was quiet, then Makenzie finally said “If any of you post those pictures online I will embarass you so bad you’ll never want to show your face at school again!” Then someone shouted “I can never see YOUR face at school since it’s always behind all that makeup you wear!” Everyone busted out laughing, except Makenzie, who ran out the door with her friend Jessica running behind her. Nice story cool and crazy. Mackenzie Was walking with her BFF Jessica (Who was a life size Barbie doll) when some Teenage boys came up to them and “Accidently” spilled a King-Size melted Hershey bar on Mackenzie’s pirate costume and fake GOO on Jessica’s Costume. But everything goes all downhill when Mackenzie gets to the CCP party.” Sorry, but we don’t think you’re popular.”, said Amy, one of the CCP’s. ” BUT I AM!!! !” screamed Mackenzie. She asked why and saw Nikki, Chloe and Zoe in the party. ” WHY ARE THE BIGGEST DORKS IN THE PARTY! ?” Amy replied with, “Oh! Nikki, Chloe and Zoe are now CCPS!” ” NOOOOOOOOOOOOOOOOOOOOOOOO!!!!!!!!!!!!!!!!!??????????????????? ?” the end! How did you like my story? 1 to 10? 1. Horrible 2. Bad 3. Okay 4.Can’t get any worse 5. A lil’ good 6. Good 7. A lil more work 8. Sweet! 9. Great! 10. AWESOME MAKE MORE STORIES!!!! Everything went downhill when she realized she was out of her favorite lip gloss. MacKenzie looked up with despair. “No…there’s no way I can go to the party without my Ravishing Raspberry Lip Gloss!” she cried. She couldn’t bear to make a fool of herself in front of all the other CCP’s at Jessica’s Halloween party. Her costume costed a fortune, so she couldn’t just not go…besides, only losers don’t do anything on Halloween…right? Mackenzie tried to find another lip gloss, but all she had left was lip gloss from last season! Oh, the HORROR! But wait! Maybe she could get away with no lip gloss, she thought. MacKenzie made sure nobody was watching her as she left the house, but to her surprise, Nikki, Chloe, and Zoe were walking right by her house when she got out! “AH! Dork!! W-What are YOU doing outside of MY house on Halloween? Wait, you were going to egg my house AGAIN, weren’t you!” MacKenzie exclaimed. MacKenzie thought for a second. “Wait, you were going to TOILET PAPER my house! Get away from my property before I call the police!” she cried. Nikki shrugged and walked away before they got in trouble with MacKenzie. It was Halloween; they had better things to do than argue with MacKenzie. MacKenzie soon arrived to Jessica’s party, and it was only a minute after she got there that Jessica noticed that MacKenzie was not wearing her lip gloss. “Uh, Mac, what’s up with your lips? Don’t you usually put on lip gloss?” Jessica asked. For the rest of the night, MacKenzie had to avoid everyone because she didn’t want them to see that she was lip gloss deprived! The worst thing was that Brandon was there, and she totally wanted to talk to him, but she couldn’t let ANYONE see her face without lip gloss on. The end. This was just for fun and I didn’t want poor MacKenzie getting anything bad happening to her. She saw Brandon and tried to talk to but slipped and fell and threw up on his Jess Aaron’s costume from the book Bridge to Terabithia. Nikki was Leslie Burke. 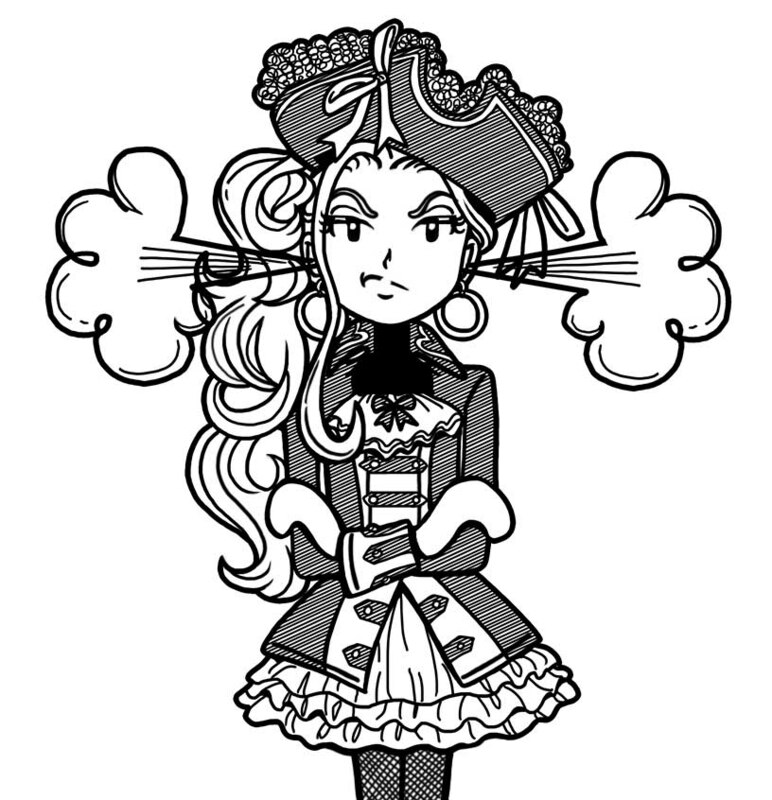 But, worst of all, her CCP friends were walking down the street in Disney Princess costumes and she was a pirate! But everything went downhill, when MacKenzie was walking to Zoey’s house (where the Halloween party was in my story) and MacKenzie slipped on a huge pile of wet leaves! I was walking past her and a smile plastered on my face. I wasn’t trying to be mean, it just came. Anyway, at the Halloween party MacKenzie was actually HIDING from everyone. And guess WHAT!!!! Everybody was like “Nikki’s the center of attention! She’s so cool, I hope I can get her auto!” I was like “AWESOME just great literally!” Then when the party was over I saw MacKenzie walking down the the street to her house. I recalled how bad it felt to be left out. JUST TO HAVE SOME PRINCESS SPIRIT (BTW I was a princess for Halloween JUST IN THIS STORY NOT REALLY!!) I gave her some of the cards I got and named them MacKenzie instead of Nikki. I ONLY GAVE LIKE 3! just so you know…… Anyway then she just smiled and screamed happily down the street to her house. Maybe Mackenzie was talking to her ccp friends and they were talking about brandon and how mackenzie should ask him. And, as soon as mackenzie was about to ask brandon out, nikki came and asked brandon out and he said yes. So mackenzie yelled, “WHATEVER NIKKI! HE WILL NEVER LIKE YOU!” then brandon said, “Get over it. I like her and there is nothing you can do about it! And then mackenzie put on like 5 layers of lip gloss and sashayed away. Then, Nikki i said #rich girl problems. Then brandon and nikki laughed and lived happily ever after.